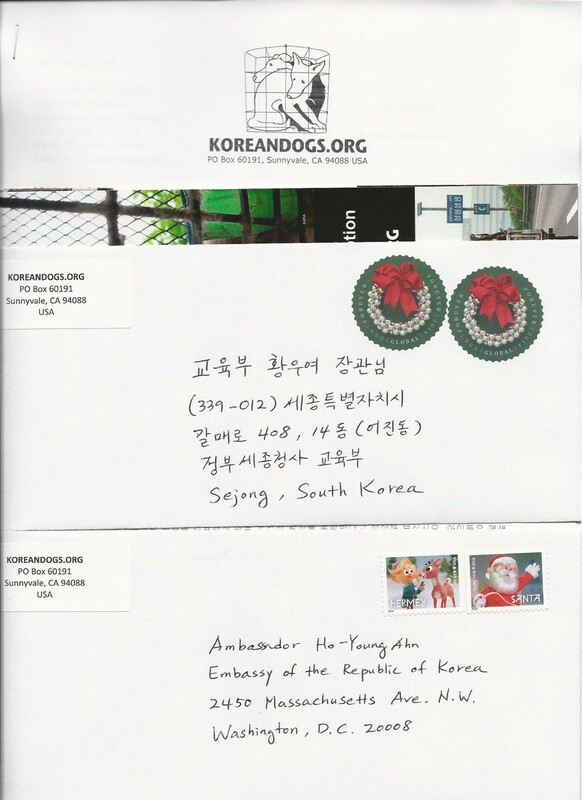 Home / Blog / Call for Action: Write to the South Korean Minister of Education! Please send a letter to the Minister of Education! Please write to the South Korean Minister of Education, Woo-Yea Hwang, requesting that his Ministry issue a position with respect to the decision of the Busan Buk-gu District Office regarding the Gupo Dog Meat Market! Use the sample letter in English and Korean provided below and feel free to add your own words. 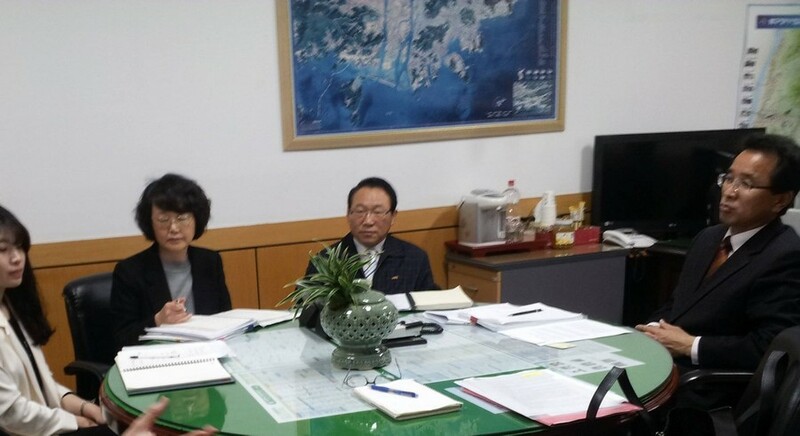 It was the opinion of the Busan Bukgu District Office that Article 6, Paragraph 1, Subparagraphs 1, 5, 7, 8 and 11 of the School Health Act do not apply to the Gupo Dog Meat Market and that the Gupo Dog Meat Market is not subject to administrative action or removal. This opinion was issued by the Busan Bukgu District Office without comment as to why the above provisions of the School Health Act are not applicable. 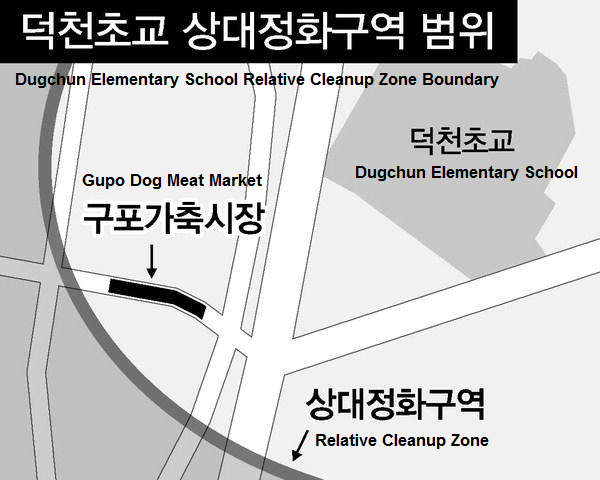 The Gupo Dog Meat Market is clearly within the boundary of the “School Environment, Hygiene, Cleanup Zone” specified in the School Health Act as evidenced by the Busan News article and therefore is in violation of School Health Act. 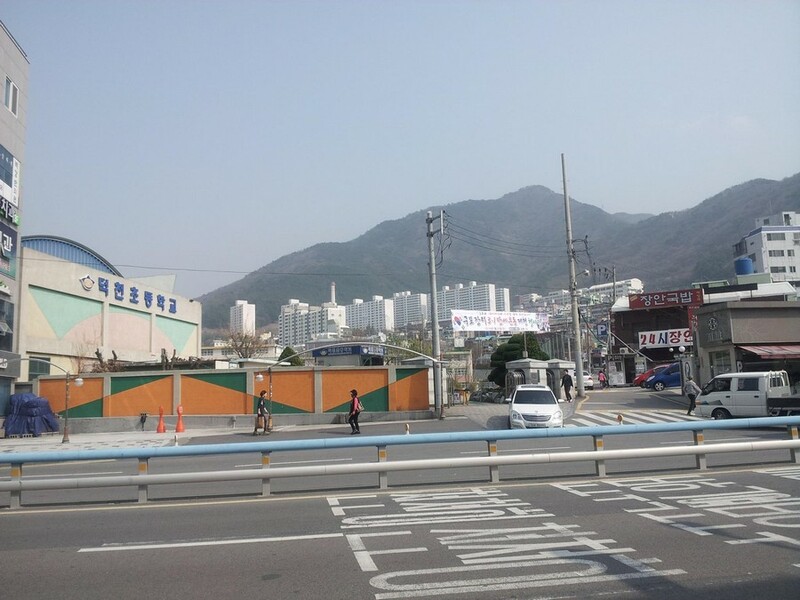 It appears that the officials in the Busan Bukgu District clearly chose to ignore provisions of the School Health Act and are disregarding the health of the children attending the Dugchun Elementary School and are putting those children at risk. Please imagine letting your children attend school hearing the screaming of the meat dogs and seeing them writhe in agony, being brutally slaughtered right in front of their young eyes. It will either traumatize these children for life or make them immune to the suffering of animals, turning them into the next generation of animal abusers. We are, therefore, respectfully requesting that the Ministry Education issue a position with respect to the decision of the Busan Bukgu District Office regarding the Gupo Dog Meat Market. 회신에 따르면 구포 개시장은 학교보건법 제6조 제1항의 1호, 5호, 7호, 8호, 11호에 해당되지 않기 때문에 행정조치 및 철거 명령의 대상이 되지 않는다고 되어있습니다. 하지만 어떤 근거로 학교보건법이 적용되지 않는다고 하는지에 대한 언급은 전혀 없습니다. 부산일보의 기사 내용을 보면 아시겠지만 구포 개시장은 학교보건법에 구체적으로 명시된 “학교환경위생정화구역”에 해당함이 확실하므로 학교보건법에 위배됩니다. 부산 북구청의 공무원들은 학교보건법 조항을 무시하는 선택을 함으로써 덕천초등학교 학생들의 건강을 고려하지 않고 결과적으로 어린아이들을 위험에 처하게 만들고 있습니다. 장관님의 자녀가 식용개들이 지르는 비명을 듣고, 잔인하게 도살되면서 고통에 몸부림치는 모습을 눈앞에서 바로 보면서 학교를 통학한다고 상상해 보십시오. 아이들은 평생 트라우마를 가지고 살게 되거나 또는 동물의 고통에 무감각해져서 다음 세대의 동물학대자들이 될 것입니다. 따라서 구포 개시장에 대한 부산 북구청의 결정에 대하여 교육부가 나서서 입장을 피력해 주시기를 간절히 요청 드리는 바입니다. Please mail your letter to the South Korean Minister of Education today! Below is our letters we mailed on December 26, 2014. 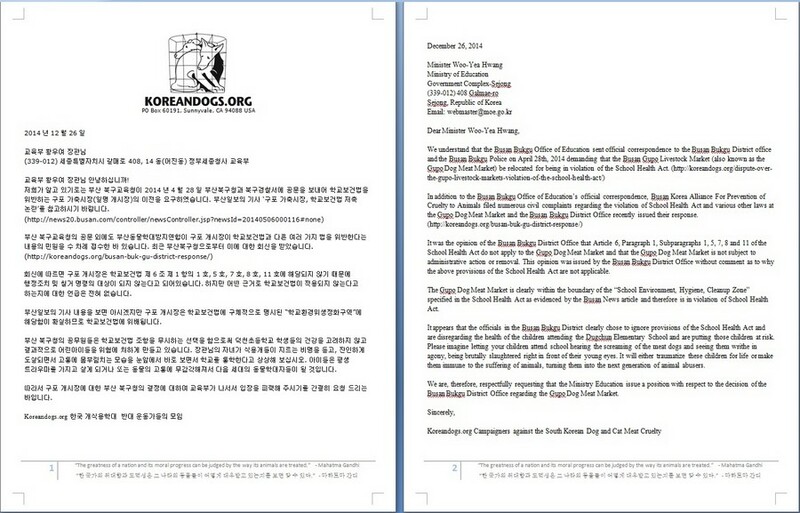 We sent this letter to the South Korean Minister of Education and the Embassy in Washington D.C. on December 26, 2014. Please consider the immense suffering of these poor animals and why it should be. Imagine your children witnessing such horror, as an adult I can not bear to look at the photos of such pain and misery. I hope and pray that the children who see this shocking practice will become kind and compassionate and help to end the suffering these poor creatures endure, or will they become tomorrows animal abusers or be totally without compassion due to what they have seen perhaps even believing it to be the normal way to treat living things. I thank you for reading my letter and do hope that you will help end this shocking practice. Let the animals live and the children pure. 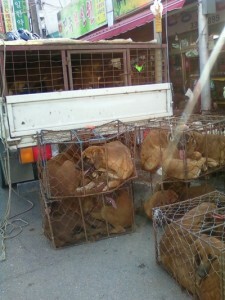 Make South Korea a first-world country and stop this!! All world is watching you. This is not right. The cruel you are doing to this animals. Why do not try by yourself how cruel dead is to die like that. I will NOT by in my life anything from Korea..until stop this. Please stop this despicable practice of the dog meat trade! It is disgusting and you should be ashamed to allow it in your country! The Embassy is closed on 25-26 Dec and 1-2 January. I am out of the office on annual leave and will return on Monday 5 Januay. I will respond to your email on my return on Monday 5 January. Should you require assistance with something urgent that can not wait until my return please contact Minkook Choi researcher2-nz@mofa.go.kr or Yesle Kim info-nz@mofa.go.kr – phone 04 473 9073. This is the mail system at host msfrf2404.sfr.fr. 이 메세지는 자동 생성된 메일 전송 결과 입니다. 수신측 서버의 스팸 필터링에서 차단되었습니다. 자체 메일서버에서 발생하는 실패 메세지 입니다. Thank you for submitting your inquiry to the Embassy of the Republic of Korea. Our Embassy staff will reply to your inquiry as soon as possible. We do make every effort to provide an informative, detailed response to every inquiry we receive and strive to do so within two or three business days, though sometimes it may take longer. ÁÖ¸»·¹ÀÌ½Ã¾Æ ÇÑ±¹´ë»ç°ü¿¡¼­´Â Àç¿Ü±¹¹Î ¼±°Å Âü°¡¿ä·É, ¸»·¹ÀÌ½Ã¾Æ ¹ý·É Á¤º¸, ±³¹Î ´ë»ó »ç±âÇÇÇØ ÇöÈ², ÅõÀÚ/»ç¾÷ Á¤º¸, ¿©Çà/°ÅÁÖ À¯ÀÇ»çÇ× µî ±³¹Î ¿©·¯ºÐÀÇ ¾ÈÀüÇÏ°í ¼º°øÀûÀÎ ¸»·¹ÀÌ½Ã¾Æ °ÅÁÖ¿¡ µµ¿òÀÌ µÇ´Â Á¤º¸¸¦ ¼ö½Ã·Î ´ë»ç°ü ´º½º·¹ÅÍ¸¦ ÅëÇØ ½Å¼ÓÈ÷ ¾Ë·Áµå¸®°íÀÚ ¸ÞÀÏ ¿¬¶ô¸ÁÀ» ÀÛ¼ºÇÏ°í ÀÖ½À´Ï´Ù. ¼öÁýµÈ ÀÌ¸ÞÀÏ ÁÖ¼Ò´Â ´Ù¸¥ ¸ñÀûÀ¸·Î´Â »ç¿ëµÇÁö ¾ÊÀ» °ÍÀÌ¸ç, ¿ÜºÎ·Î ´©ÃâµÇ´Â ÀÏÀÌ ¾øµµ·Ï °ü¸®ÇÏ°Ú½À´Ï´Ù. Please note our office will be closed from Friday 19th December to Monday 5th January. I will be working as per usual on 22nd and 23rd December although will not have access to a phone, so please ensure you use email to get in contact. Over the Christmas period I will be on emails as much as possible and will get back to urgent enquiries as soon as I can. Unsere Geschäftsstelle ist bis einschließlich 4. Januar 2015 nicht besetzt, Email werden in dieser Zeit nicht weitergeleitet. Wir bitten um Beachtung. Wir wünschen Ihnen ein gesegnetes Weihnachtsfest und einen sportlichen Start in das neue Jahr! BEAUCOUP DE COURRIELS NE PARTENT PAS OU ME REVIENNENT COMME JE VOUS LE MONTRE CI-DESSUS. I’m out of my office from 31.12.2014 to 11.01.2015. I’ll have limited access to e-mail and will reply when I have a possibility to read the messages. Thank you for your understanding. I’ll be available at my office from 12.01.2015. I wish you Happy New Year 2015! This is unbearable for animals. What if we put all of these develish abusers in crates? How can you do this? This is sickening. Do you see the rest of the world doing this? Dogs and cats are pets, not food. Please stop KILLING DOCILE ANIMALS!! YOU ARE A SICK PEOPLE AND YOU DON’T FIT IN WITH THE REST OF SOCIETY. WHAT KIND OF MOTHER RAISED YOU? Stop killing dogs. My money will never be spent on samsung, kia, etc.